Looking to add more video to your content mix? You’re in luck! You don’t need to spend hours producing video content with expensive equipment when you have existing content. You can repurpose your existing blog posts into videos with Lumen5. Lumen5 is a partially automated and intuitive tool that allows you to turn blog posts and other content into animated informative videos. You can then share those videos directly to your website and social media channels. Once you sign up (for free!) for Lumen5, you can create videos from your blog posts, text or from scratch in under 5 minutes. Convert your blog post/text to video There are three ways to convert your existing content into video with Lumen5: a link, copy and paste text and starting from scratch. The first option is to enter a link to an existing blog post or article. Lumen5 then fetches the content and starts populating your storyboard. This is the most efficient way to create a video on the platform. Lumen5 AI bots essentially do all the work for you by pulling text and images from your post or article. The second option is to copy and paste the text from whichever source you wish to create a video with. Lumen5 will use that content to help you create a video. The third approach is to start from scratch. You can type your content in manually to create a video. 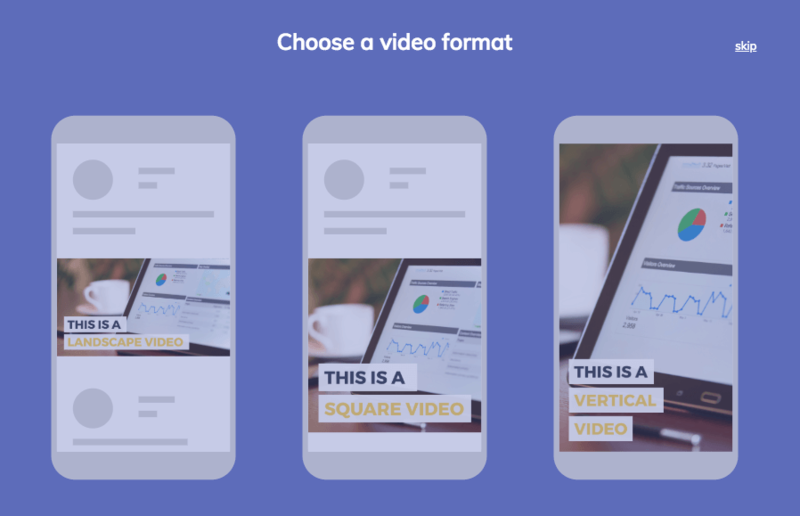 Once you decide which approach you’d like to use, the following screens will appear to help you choose a video format and a theme. Lumen5 automatically provides a foundation to create your video on. All you need to do is arrange your storyboard and edit. You’ll see text from your blog post or the text you copied and pasted on the first screen on the left. A video storyboard is on the right. The blog post/article title populates a box in the first slide of the storyboard. You can add to the storyboard by choosing text that summarizes your post. Simply click on sentences to add them to your storyboard. If you’re building from scratch, or using the other two methods, you can add text manually by clicking the ‘+’ button and start typing your text. You can also rearrange sections of your storyboard by hovering over the box you want to move. We recommend no more than 120 characters per box so that the text fits perfectly into the slide/scene of your video. Click within the box to edit the text and reduce characters if needed. Lumen5 calculates the length of the slide, the positioning of the text, and which words to highlight in the video slide, automatically. You can of course override the suggestions and edit the video to your liking. For each video slide, you can choose a background from the expansive library of videos, photos, and icons. Lumen5 also includes any images from the article. Alternatively, you can upload your own media. If you choose to upload your own images, they need to be at least 500 x 500 and in JPG, PNG, or GIF format. The maximum upload size is 15MB. To change the background image of any of the storyboard slides, simply drag the image from the library to the slide. Keep in mind that the background will be slightly animated in the finished video. You can preview your video to preview image effects. You can add music to your video using any of the millions of copyright-free audio files provided by Lumen5 or upload your own file (just ensure that you have the rights to use the audio for commercial purposes). Clicking the ‘Mood’ drop-down menu gives you an array of music to match the mood or feel of your video. You can preview a track by clicking the ‘Play’ icon to the left of it. Once you’ve made a choice (there are lots of options!) click it to apply the track to your video. Of course, adding music to your video isn’t a must. You can leave this section blank. You can add brand identity to your video by setting colors, adding a logo and choosing/uploading your preferred font. 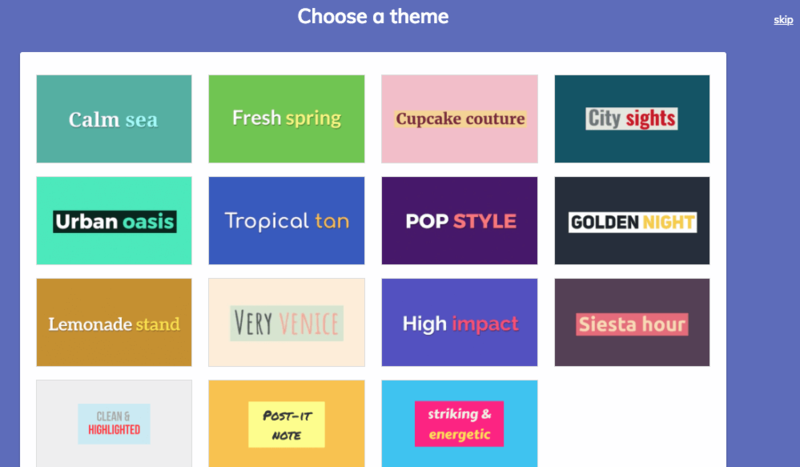 Choose your text and background colors to match your brand colors. You have the option of uploading a logo or adding a watermark (which can be a simple version of your logo or something else) to your video. You can select or upload fonts to match your brand fonts. As you edit and format your video, Lumen5 calculates the total length of the video. You can adjust this by choosing a Fast, Normal or Slow transition speed. You can also select a Landscape, Square or Vertical video format. The last slide of your storyboard is labelled ‘Outro Scene’. You can add a logo to this slide or leave it at the default ‘Share this video’ text. You can preview your video during the editing process to ensure that everything looks as it should. Once you’re happy with it, click ‘Finish’ and Lumen5 will render a final version in 10 minutes or less. Enough time to grab a cup of coffee 🙂 You’ll receive an email once it’s finished. Once your video is rendered, you can publish it directly to Facebook to download it to your computer to publish on your other social channels and website. It’s as easy as that. To make things sweeter, you can edit your video after it is rendered. There are tons of features and options at your disposal to help you create a professional and engaging video for your business. Get in there, play around, have fun and share your awesome content with the world.